When an annualized franchise takes a year off, it’s easy to imagine writing a review of “It’s Back, Baby!” For the Assassin’s Creed franchise, with Assassin’s Creed Origins, it’s what Ubisoft did in the detail that overshadows the relative, mundane story of its return. The first improvement you notice is in the story and its main character, Bayek of Siwa. He is actually a fleshed-out character. Previously, the main character normally fell into the stone-cold, aloof, reluctant hero type, but Bayek is driven – driven by the ghost of his son and the circumstances that befell him. He is driven by a sense of honor to protect the people as a Medjay. 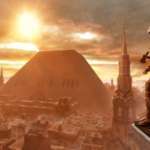 It is customary in an Assassin’s Creed game to give all the accolades to the setting. With Egypt as a background and more open world than any previous AC game, Ubisoft has outdone themselves capturing the beauty and majesty of ancient Egypt. Even with all that, Bayek is the reason I keep coming back. The area where Ubisoft did the most work is in the combat. Leaning a lot towards a more modern combat style (ala Dark Souls-ish), Origins’ combat is a vast improvement. Honestly, by the time I played Assassin’s Creed Syndicate, I had my brain wired to autopilot when engaging in combat. Now, almost all the battles have an element of surprise, and possibly death. Combat is no longer a group of guys waiting their turn to die one at a time. The enemy combatants will actively look for openings to attack you. They will gang up when necessary and back off when it suits them – and enemies with different weapons fight differently. It really solidifies the experience. Now that doesn’t mean the combat system is not without its faults. The leveling system makes no sense to me. Were I to attack an enemy 8 levels above me, I would be cut to ribbons in an instant, but should I attack an enemy 8 levels below me, there is still an off-chance that he will still block almost all my attacks and react faster than I ever could. I don’t think the RPG elements work quite like I think Ubisoft thought they implemented them. The ability (tech) tree only provides a handful of useful skills that range outside the normal fare. I do like you cannot focus on all three categories (hunter, warrior, seer), but again, it doesn’t alter my playstyle all that much. The one holdover from previous Assassin’s Creed games is sometimes, the game just incorrectly judges your button pushes. More often than I care to admit, I climb a wall to assassinate a guard waiting on the edge, only to hop over the ledge and stand there looking at him, waiting to be discovered. While that is frustrating, Ubisoft has made some progress on the climbing, leaping, and sneaking. It is so much easier worrying only half the time that Bayek will decide to jump off a building a direction I wasn’t intending and plummet to his death. Exaggeration aside, the adjustments to all three of these aspects have improved the overall experience, and while using Senu (your eagle) to view enemies and find treasures took a little getting used to, I completely appreciated it. Of course, as a fan of the series, it does make me wonder why more modern-day members of the Brotherhood can’t control animals like that. Hmmm. Overall, Assassin’s Creed Origins is the clear result of two years hard work; of a group of developers who really took the mandate of changing the formula to heart and delivering on the promise of a better experience. I’m not quite ready to proclaim this the best in the franchise. 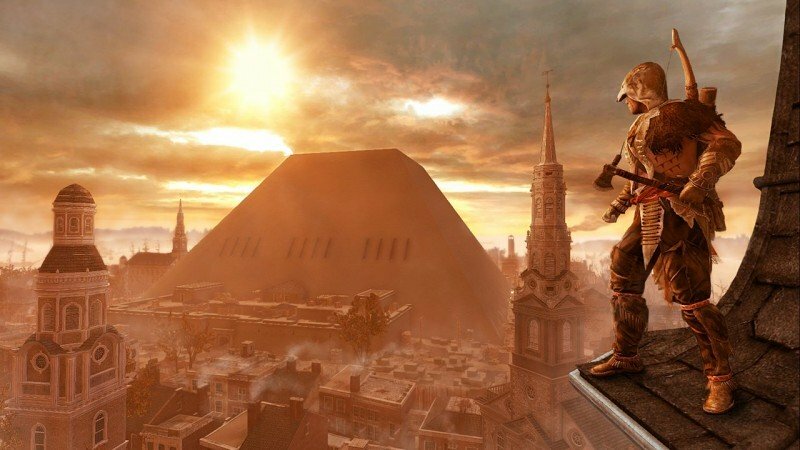 Assassin’s Creed II or maybe Assassin’s Creed Brotherhood still hold that for me, but Origins has the potential to supplant anyone at the top of the list. Only time will tell. Bayek is best AC character to date.